Those stories not only give the movie a simple structure, they’re told with gorgeous animation, each a metaphor for some of life’s more complex lessons. Lessons that illustrate how most things aren’t always cut and dry, black and right, right and wrong. Sometimes it’s okay to be in the middle, think one thing and do another, and through these lessons the audience learns both Conor’s truth and, hopefully, the truth about themselves. The film was directed by J.A. Bayona, the talented visual filmmaker behind The Orphanage, The Impossible and the upcoming Jurassic World 2. His visuals are constantly dynamic, and coupled with some slick, seamless transitions, give the film a truly ethereal feel. 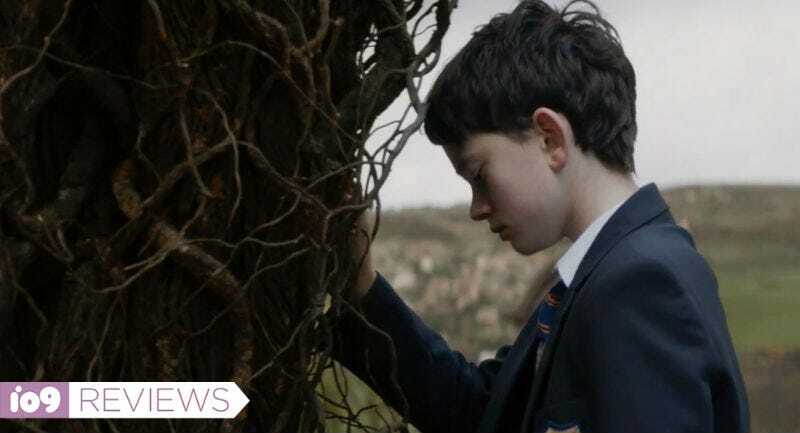 There’s a line in A Monster Calls about how we sometimes can’t tell the difference between a dream and reality, and Bayona’s filmmaking takes its cue from that. As a result, there are moments when the film can feel a bit grueling. It’s a steadfast film, one that rarely turns up the volume too much. So that pace, coupled with the profound thoughts it’s conveying, mean A Monster Calls can drag at times. Things never stay that way, though, and all the pieces come together for an emotional, beautiful final act.